Last version, we mentioned that we rolled out the design picker and the new settings for only a few of our blocks, and that we will continue to do this with the rest. We’re happy to say that we’ve implemented them across all of our blocks. Now you can toggle between a basic design and a plain design for almost all our blocks. The plain design is very helpful if you want to get rid of a lot of our styling and apply your own CSS customizations. We have also enhanced our CSS class names for every block by implementing the BEM naming convention to make things very easy to customize. You can read more on that below. The basic design is our signature “boxed” design look. Some of our blocks that didn’t have a boxed look now have it, like the Team Member block and Testimonial block. And we’ve also provided border radius and shadow options for almost all blocks for your tweaking. We’ve finally fixed a very irritating bug in Stackable. When you create a button and save your page, only a single letter is shown in the frontend. The level of frustration brought upon by this bug is uncanny since we had a really hard time replicating the error and pin pointing why it was happening. It’s finally fixed now and everyone can finally start creating buttons in peace. We’ve gotten a lot of requests from you guys for us to add an option to open links in a new tab. We always listen to our users, so we’ve decided to put some time into adding this option for all our blocks as well. All link fields that you come across will now have a more options button on the right that will show an “Open in New Tab” toggle. Just check it and your links should open in a new tab. In our previous versions, our block icons were a little uneven, some were thicker than others, and some were more pointy. In our effort to standardize every aspect of Stackable, we’ve replaced all our block icons with ones that reflect the level of polish that we put in our blocks. Oh, and the new icons look pretty sweet as well. Sometimes, It’s a little bit hard to imagine what your block looks like in the frontend, especially if you have blocks that are flexible like ours. In Stackable blocks, every text is optional, and therefore provides more opportunities for customization. For example, in the Feature Grid block, you can choose not to have a description, or a learn more link, or an image. What you put in there is all up to you. We have added in placeholders for text and images in the block so that you can see what things you can edit within the block. In this release, we’ve made it easier for you to imagine how your blocks would look like in their final state. When a block isn’t being edited, all the text and image placeholders that are left blank won’t show up. This is really helpful and this allows you to better see what the block would look like immediately without previewing the page. Previously, the Blockquote block only gave you one type of quotation mark to use. Now we provide you with a total of 9 different quotation marks, and we also give you the ability to resize them small or large to achieve different effects. This is for more advanced users who really want to customize their blocks. In this version, we’ve implemented BEM for all our blocks. 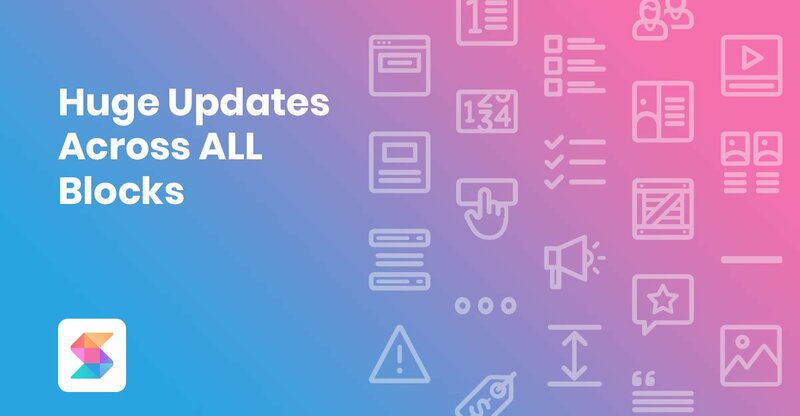 BEM is a naming convention that stands for Block Element Modifier, it’s mainly used for CSS and it makes it easier for writing, organizing and reading styles. I won’t go into the deeper details and ideologies of BEM, you can do so on your own, it’s quite interesting. We’ve removed the Pullquote block, since new designs were added to the Blockquote block which can serve as a pullquote as well. The background color of the Container block also gets applied to the background color of child blocks. Do you have any quick solution? Now after the update the image appears taking only small slice of the column and no matter what value I put in the width parameter. Also, now you can’t change the image in image box block after you added it!! Loving this plugin but it’s a little vague on how to customize a few things. For example, the blockquote block is only giving me two options for customization: Regular & Large. But on the demo page, you guys are featuring numerous ways to customize this block. Where would I find in settings to customize this block, or any block really? Each block layout has its own set of controls under them. Click on the dropdown arrow (v) on the right to see them. 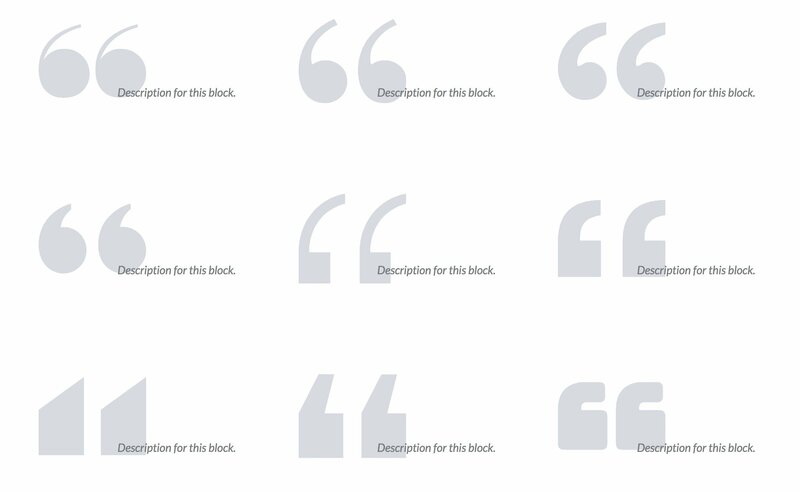 For the Blockquote block, we have Basic and Plain layouts. Stackable Premium adds more layouts such as the Centered Quote, Highlight, and Huge.